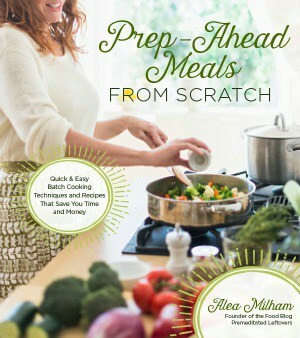 If you are a fan of arugula, you already know how expensive this leafy green can be! Instead of paying big bucks for this nutrient rich food, why not grow your own instead? 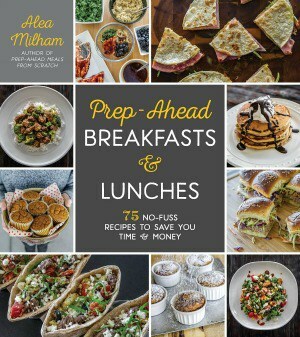 Growing your own arugula is fairly simple, and in the end, it can save you some major cash. 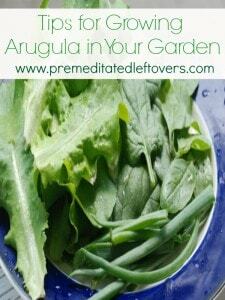 Take a look below at some helpful tips on growing arugula in your garden! 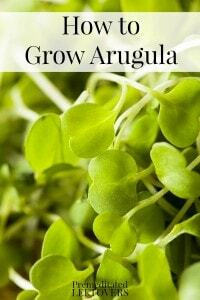 Arugula is a quick growing plant that is ready to harvest in about 4 weeks. 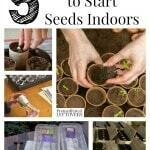 Because it grows so quickly, there is not much need to start your seeds indoors. Of course, you can if you wish, starting them in seed starters a week to 10 days before you intend on transplanting. When you are ready to either transplant outdoors or sow directly outdoors, you want to space your plants about 2 inches apart. They should be planted no more than an inch deep, even a ½ inch is sufficient. Make sure your soil is rich, well drained, and you have chosen an area that gets at least 6 hours of sun per day. Arugula can also be planted in containers, perfect for those with a small yard and limited space. Caring for arugula is quite easy. Make sure you keep the soil moist with regular watering every few days. When you touch the soil, it should feel moist to the touch. A light barrier of mulch will help protect the plant as well as keep the soil hydrated. Arugula is a tasty treat to rodents and rabbits, so place a light netting over the plants or a fence around the area. Beetles are often attracted to the arugula leaves, so you may notice small holes on them. If this happens, remove the entire damaged leaf. Be vigilant about checking the plants for beetles and removing them when you see them. You can also try setting up beetle traps. 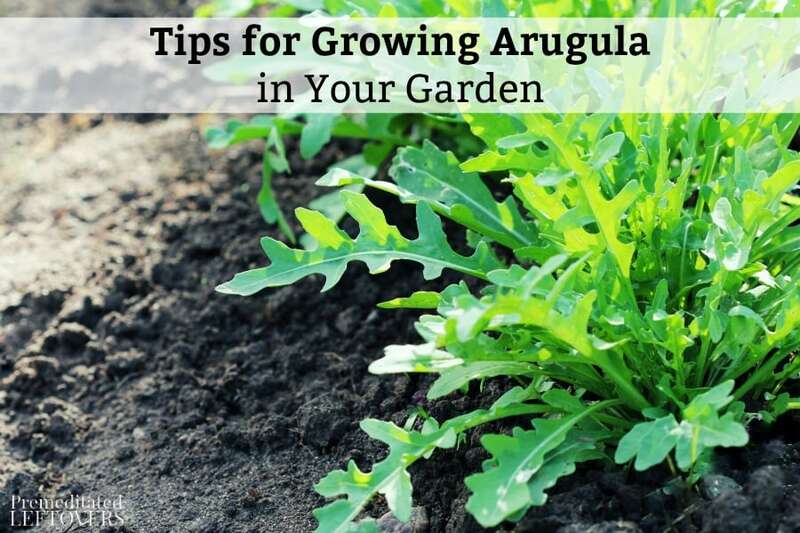 Because arugula grows so quickly, you can plant it in various sessions so you always have a crop that is producing and ready. For example, you can sow new seeds about a week after planting your first batch. This way once your original batch is done producing, you have a new one at its peak. 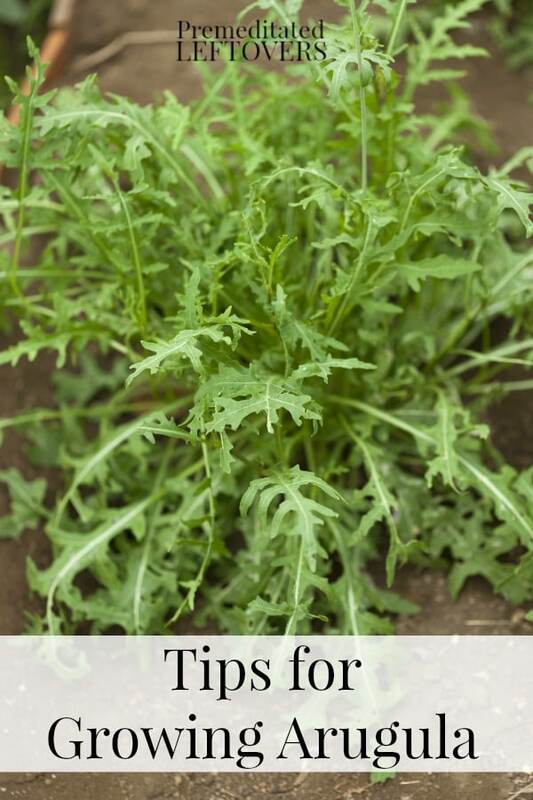 As long as you are vigilant about water, rich soil, and pests, your arugula will do the rest of the work! You can start harvesting leaves when they are bright green and tender. Sizes will vary, but arugula tends to not grow too big. 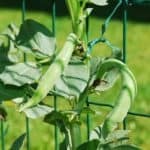 In most cases, your plant will be 8-10 inches tall when it comes time to harvest. Do not wait until a stalk grows up the center or flowering occurs, because at this point the flavor may be too strong. Arugula adds instant flavor to your salads and is the perfect springtime treat. 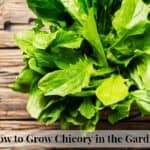 Give these tips for growing arugula in your garden a try and see just how fast that plant can start producing for you. Actually, arugula flowers are extremely fragrant – and edible!